A new study has provided the answer, or at least claimed to, in one category of the agelong battle of the sexes. 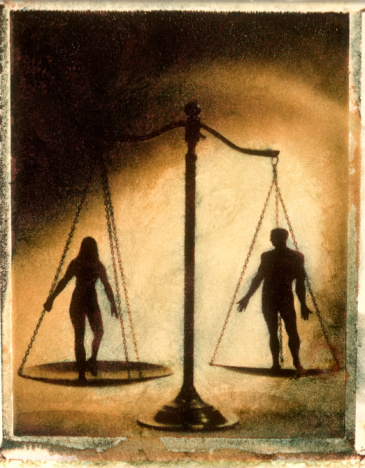 A surver, conducted by leading philosopher Professor Roger Steare has suggested that women are more moral than men, with those over 30 having the strongest values. The study, titled the Moral DNA test, measured values based on responses to questions about honesty and competence in relation to personal and work lives, concluded that women are more likely to make decisions based on how their actions affect others, as opposed to men, who tend to think of themselves more. ‘The differences that emerged between men and women are valuable when we look at decision-making in the workplace.” Professor Steare said. “What this shows is that when it comes to work men have to grow up, put their ego to one side and show some humility and compassion; qualities they all too often have in their personal lives but put to one side when they walk into the office.” Steare said. He also went on to say that it appeared morality increased as people got older, with the crossover point being around the mid-thirties. ‘What stood out from the answers was that obedience decreased with age, while reason increased; a logical occurrence as we make the transition from youth to experience.” he said.